I am posting this almost two weeks after it was published, unfortunately. This is essay in Economic Times of October 21, 2013 on the PM's visit to Russia and China. Over the next few days, PM Manmohan Singh will summit with the leaders of Russia and China. Along with his recent meeting with US President Barack Obama, it completes a trifecta of sorts. Unfortunately, in this great power trifecta, India appears to have neither skill nor luck. At the end of his term, the PM has the unenviable task of trying to climb out of the strategic hole into which we have dug ourselves. The Moscow summit should have been easy. India and Russia have long had close strategic ties, which though frayed sometimes by India's recent closeness to Washington, still remains strong. Much of India's military equipment still comes from Russia, and it has been a stalwart supporter of India in many international forums, including the NSG when it decided to change rules to allow India access to international nuclear commerce. Moscow hoped to benefit from that change by selling India nuclear power reactors. But that hope was seriously dented by India's nuclear liability bill, which threatened to slap equipment suppliers like Russia with liability for possible accidents. Though much of the nuclear liability debate in India was about the impact on US, the law is applicable to all suppliers, including Russia. Over the last two years, the Indian government has tried to make amends by proposing a variety of stratagems to reduce supplier liability, but it has yet to convince anyone, including Moscow, that these will work. The latest effort revolves around Indian public sector insurers possibly providing insurance to suppliers, which defeats the purpose of the law because these will be underwritten by the Indian taxpayer. Of course, it is not clear that this is acceptable to Moscow, so the PM has a difficult task in convincing the Russians. But this was all unnecessary, a striking example of New Delhi's propensity to shoot itself in the foot. If the story in Moscow is about India's incapacity to understand the value of its friends, the problem in China is India's incapacity to understand the dangers posed by its adversaries. Since the 1950s, China has consistently seen India as its key adversary on the Asian continent and has used every possible opportunity to undermine New Delhi. 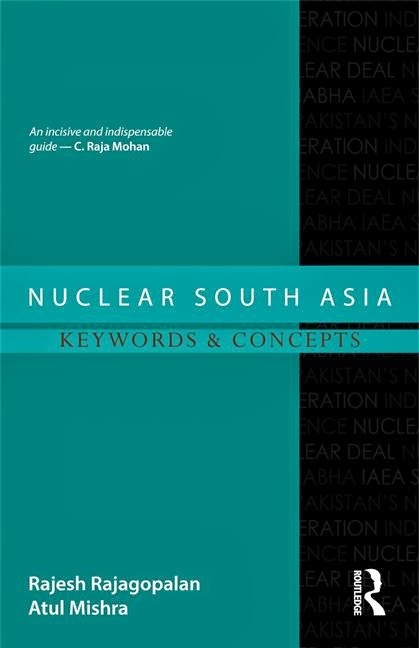 Its almost unconditional support for Pakistan has included the supply of nuclear weapon designs, which is without precedent in international politics. What this reflects is the clarity of Chinese strategic thought, its conviction that India was an adversary that needed to be balanced militarily, a conviction that continues. 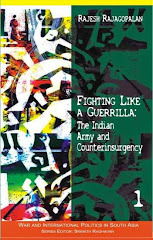 This leads China to oppose any expansion of Indian influence in multilateral fora, including the UN Security Council; to protest any Indian military exercises with other military forces and to support any effort to undermine India within South Asia. We can hardly blame China for its clear-headedness. The problem is but India's incomprehensible reluctance to appreciate the realities of power in international politics. What PM Singh faces in Beijing is the shambles created by this policy. India's China policy has been based on two assumptions. The first is that more trade and interaction can solve political problems. There are benefits to trade but they have to be understood for what they are: creation of wealth, not conversion of adversaries. The consistent growth in Sino-Indian trade has not been matched by any resolution of the political difficulties, indeed the opposite. The second and even more dangerous assumption has been that India can manage China on its own, best exemplified by notions of "strategic autonomy" and "non-alignment 2.0". As Chinese power continues to grow and the gap between China and India grows, India needs to seek out partnerships with other countries that have similar concerns about China, without letting China have a veto on such partnerships. Instead, New Delhi is trying to deal with each problem with China as if they stand alone. It seems unable to comprehend why China issues stapled visas to residents of not only Arunachal Pradesh but also J&K; why despite many rounds of CBMs and border negotiations, Chinese aggressiveness on the border grows; and why China insists on pushing through nuclear power plant sales to Pakistan despite NSG rules that prohibit it. Even as the Chinese roll out the red carpet for Singh, it is unlikely that they will give significantly on these key issues because the logic of their policy is clear even if New Delhi's is not.